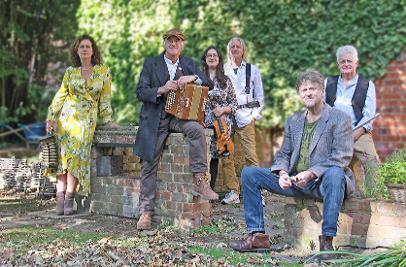 Based in the small Bedfordshire village of Dunton, Biggleswade, Dunton Folk organises a series of folk music concerts and traditional sessions throughout the year. In addition we also organise the annual Wassail in an orchard in the centre of Dunton. 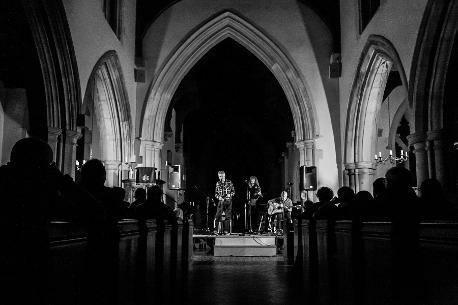 The folk music concerts take place in the superb setting of St Mary Magdalene Church. The doors open at 7.30 and concerts start at 8.00. The acoustics of the church lend themselves to live music and a superb atmosphere is generated when live music is performed. A full bar is provided at all of our concerts by John and Janice of the March Hare pub. The sessions that we organise are held on the first Tuesday of each month from 8pm onwards in the March Hare pub in the centre of Dunton. The sessions are very informal and new musicians are always welcome. Come along and join in or simply sit back and listen. Our wassail is held in January each year at an orchard in Dunton in association with our sister organisation Dunton Cider. We have morris dancers, singers, musicians and a mummers play. We serve mulled cider before waking the apple trees in the orchard with singing and other loud noises. Once this is done, we retire to the March Hare for more cider and an evening of music. Pitmatics is an exciting new folk band fronted by music industry producer and musician Charley Foskett. Original and cover songs tell powerful stories with great arrangements, superb musicianship and stunning harmonies.